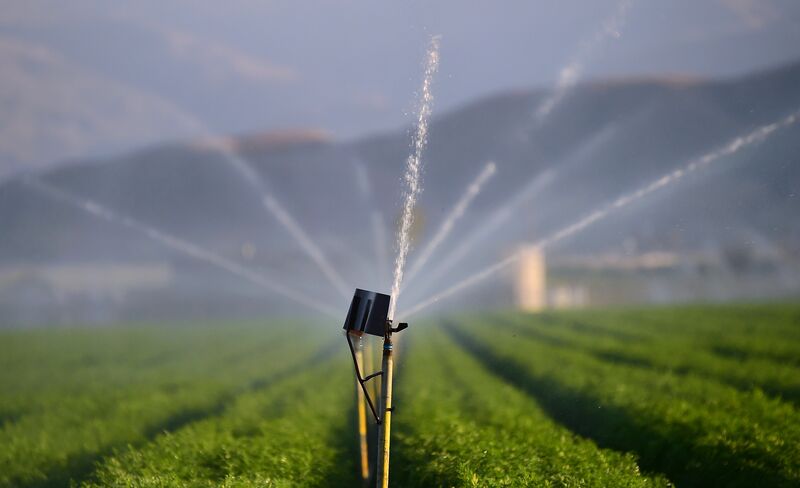 Here is a simple guide to help you properly care for your crop, to help you avoid learning any watering mistakes the hard way. Unless you are using a hydroponics setup, you are going to have to water your plants on a regular basis. Knowing when to do that and how much is the difference between dead plants and healthy ones. Here is a simple guide to help you properly care for your crop, without having to learn any watering mistakes the hard way. When your soil feels dry an inch deep, then it is time to water. Just put your finger in the soil, and go to the first knuckle. If your fingertip feels moist, then you have some time. If you have smaller plants, you could also just lift the container when it has been watered and compare that feel to the plant needing water. Is the second far lighter? The plant has used up most of the water. This only works with small containers. Don’t break your back. If you don’t have proper drainage for your plant, you might as well let the CIA waterboard it for you. If water cannot freely drain out the bottom, then you need to add a layer of drainage medium to your containers or take other steps. Make sure your tray doesn’t create a seal with the holes in the bottom of the bucket. Just because your water is out of the container, doesn’t mean it can sit in the tray. Get excess moisture out of there! Especially used water. It is a breeding ground for pests and disease. To prevent soil from hardening up when it gets dry, add perlite to your mix. Then add a layer of river stone, pebbles, or smooth gravel to the bottom inch of your container before adding your medium. Avoid using local soils that have high clay contents, they will suffocate roots. Composts and potting soils are better and less likely to carry pests. A great way to aerate your roots is with a fabric pot. It will also make overwatering next to impossible. At first, you plant will only need to be watered every 3 – 5 days. As it grows and its roots take up more of the container, it will use up the amount of water that container can hold much faster. If you begin having to water every 1 – 2 days, you may want to consider transferring the plant to a bigger container. As your plant approached harvest, it will use a lot of water regardless, and you do not want to transplant a flowering female, as they could go into shock. Ideally, since a plant can more than double its size during the flowering stage, you want to be in a pot that will give it plenty of room to grow before inducing flowering. Starting off in small containers when you plant is just developing helps you prevent overwatering problems, and makes it easier to flush plants if nutrient problems occur. Every time you water your plants, you are doing 2 things. First, you are providing water for it to grow. Second, you are flushing the waste products of the plant’s natural processes out of the soil so they don’t build up and cause toxicity. The salts that are produced by extra nutrient uptake can quickly make soil uninhabitable for roots, so you have to wash these out. 10% – 20% extra runoff every time you water. You don’t want to water just until the soil is moist, you want to water until extra comes out the bottom of the container, taking those salts with them. This will also notify you if there are drainage problems. If your container tries to overflow the top instead of running out the bottom, or takes a very long time before any comes out the bottom, you have a drainage problem. If you keep a grow journal, you will more readily be able to know whether you have increased the amount and frequency of your waterings. If you can, measure out your water before watering. If using a hose, before watering you should time how long it takes to fill a 1-gallon container at a set rate of flow. Use this rate every time, and you can count to know exactly how much water your plant is getting. Under watering produces wilting, with leaves that seem limp, lifeless, or even dried. Dried out plants will die if not treated. Over watering causes drooping and curling, with firm leaves that are curled from stem to leaf in a constant arc. After a while, this can lead to yellowing and other signs of nutrient problems. 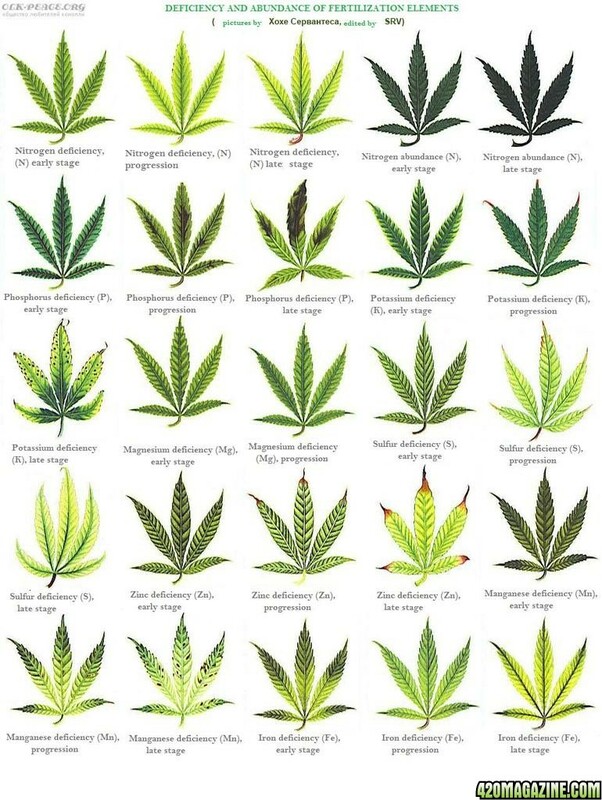 If your leaves are discolored dark, or bent at a sharp angle, you have a nutrient problem, go to this guide to diagnose them. Do you grow your own bud? How have you fixed problems with your plants? Share your tips with us and each other on social media or in the comments below.